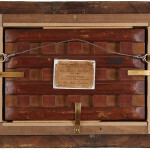 The first owner of Champs à Barbizon was the artist, Paul Signac, Seurat’s younger friend and direct disciple. Georges Seurat’s contribution to the evolution of modern art is remarkable in that it happened in such a short span of time; Seurat died at the age of 31 in 1891. The culmination of a preference for drawing (learned during the short period he attended the École des Beaux Arts), combined with a scientific interest in color theory resulted in his greatest achievement, the painting he chose to include in the last and final Impressionist exhibition in 1886, A Sunday Afternoon on La Grande Jatte (Art Institute of Chicago). 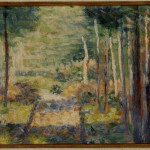 With this painting, Seurat broke with the tenets of Impressionism and initiated a new movement which became known as Neo-Impressionism or Pointillism; and his preference for creating an ordered, geometric structure may be seen as paving the way for the pure abstract art of the twentieth century. 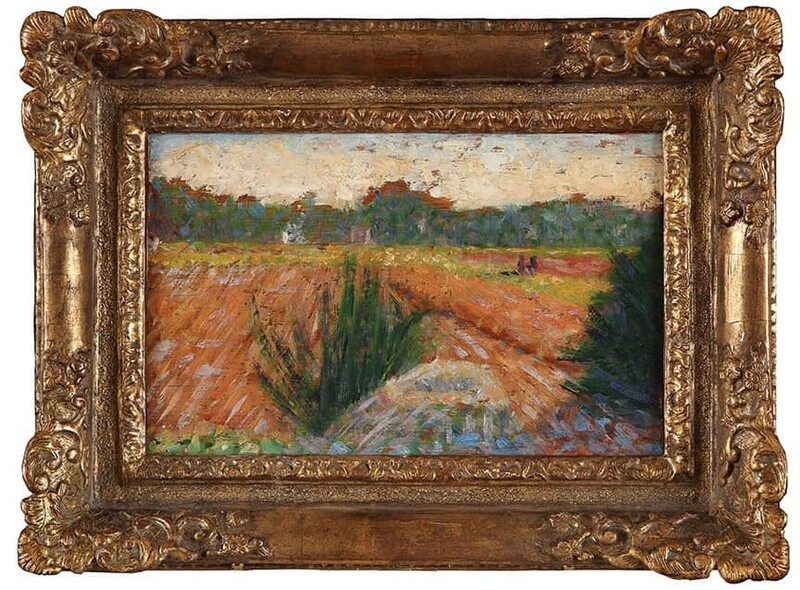 After a year and a half stint at the École des Beaux Arts, where Seurat followed a traditional course of Academic training; in other words, drawing from a live model in the studio, he quit this conservative approach to follow in the path of earlier artists, especially Théodore Rousseau. 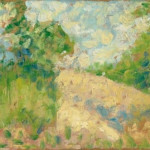 It is probably no accident that Seurat was drawn to Barbizon early in his career. 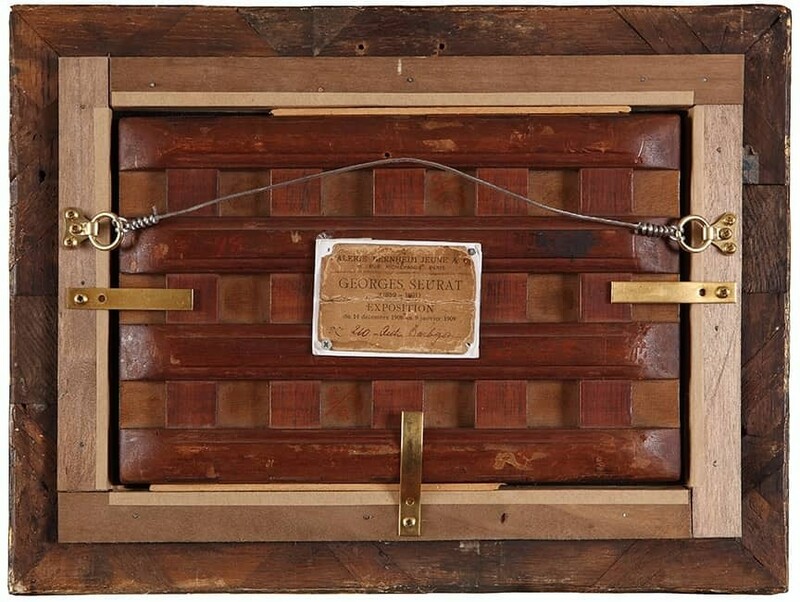 Like Rousseau, who would fill his backpack with small mahogany panels and set up his easel in the fields and forests around Fontainebleau, Seurat carried a small artist’s paint box that was designed with slats to hold standard size wood panels, easily transportable and readily available for painting outdoors. 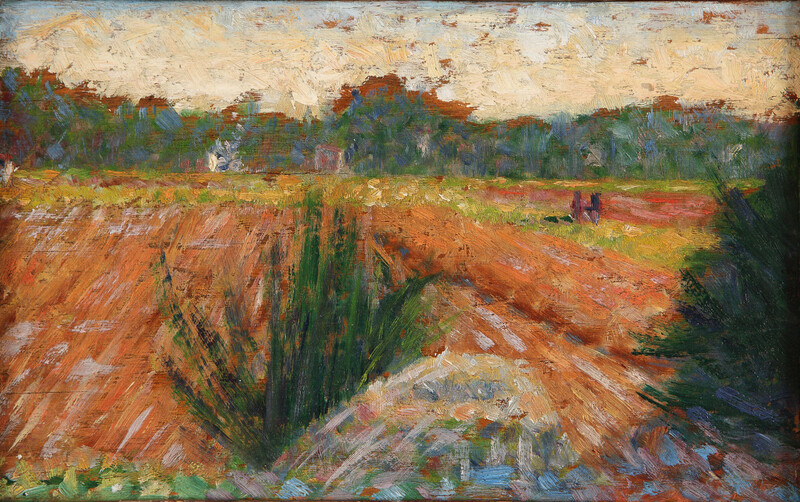 Painted in 1882, the period of most of Seurat’s plein air studies, Champs à Barbizon is a vibrant study of the furrowed fields around Barbizon. 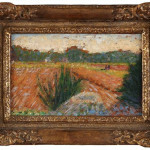 Two peasants plow the earth and the surrounding forest can be seen in the distance and also in the foreground of the composition, where Seurat most likely set up his easel. 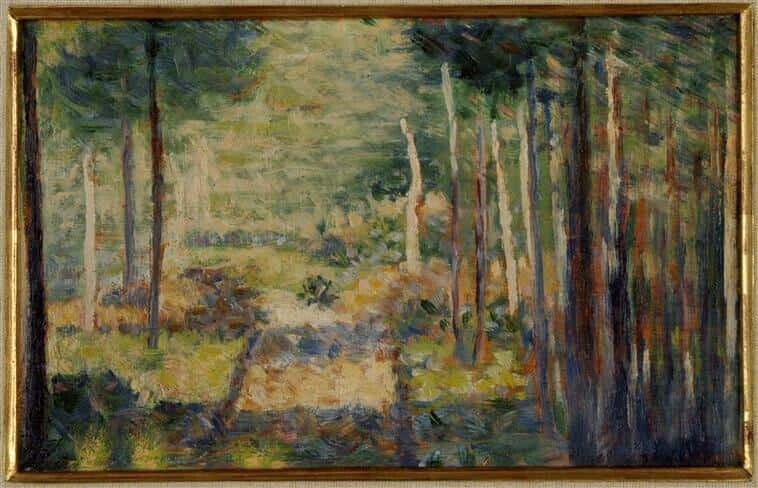 In his trademark fashion, Seurat exposes the wood of the panel to create dimension behind the distant silhouette of the forest. While Seurat’s pure “pointillist” studies (done primarily for La Grande Jatte) date two years later, the origins of this style are clearly evident in the present painting, where the quick, small dashes of juxtaposing color define the subject matter. 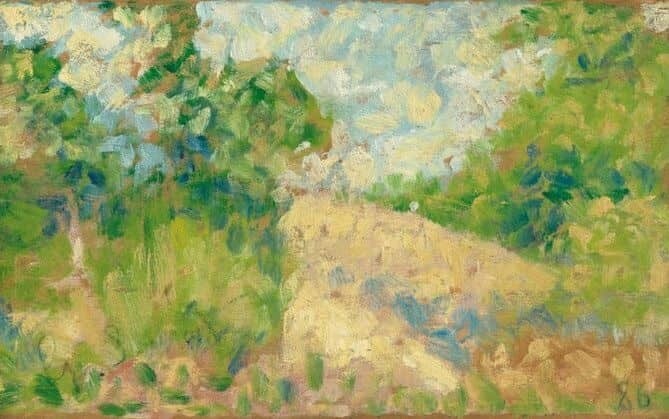 While it is known that Seurat was influenced by Eugène Delacroix’s use of “broken colors”, it is also evident that the pastel technique and palette of Jean François Millet were clearly on Seurat’s mind when he painted Champs à Barbizon. 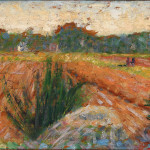 Seurat was clearly aware of Millet’s pastels with their quick hatches and dashes of color.